This is a superb production. I cannot think of a more elegant and fitting tribute to the master of suspense. One is immediately impressed with the quality feel of this album. The design is an elegant gate-fold sleeve with the booklet housed neatly under a flap that has a picture of Hitch photographed with a row of cans of films of all 49 of his thrillers up to Marnie. (Inside the booklet there is another witty picture of Hitch hitching himself up to place a can of his 50th film, Torn Curtain on the pile that towers above him.) The booklet and elaborate sleeve are printed beautifully in black and white with very tasteful typography and excellent pictures. Another of these shows Hitch walking down flights of stairs with an assistant dutifully carrying his studio chair behind him. But it is, of course, the music that is important and here we have some fascinating material that has never been released before and, even more important, the music of the majority of the tracks is conducted by the composers themselves. The album opens with the theme that introduced the long-running TV series Alfred Hitchcock Presents; Gounods Funeral March of a Marionette, chosen by Hitch himself. Its mordant strains were a perfect match for his rotund personality and dry wit. Dimitri Tiomkin conducts two themes. From Dial M for Murder, there is the love music for the scenes between Grace Kelly and Robert Cummins, which, at its centre, grows tawdry for this is the illicit affair that sparks off Ray Millands cunning murder plot. Cleverly, Tiomkin weaves the telephones dialling and ringing into his score. In contrast, constancy speaks in the love music for I Confess. It recalls the past love between the priest (Montgomery Clift) and Ruth (Anne Baxter). The quality of the sound on these two tracks is so-so. Franz Waxman is represented by the edgy energy of Jukebox # 6, from Rear Window; an overt jazz piece with the composer conducting the Paramount Studio orchestra. This exuberant little piece has never been available before. But it is, of course, Bernard Herrmann, whom we principally associate with Hitchcock. In this collection, we hear Herrmann himself conducting the Paramount Studio Orchestra in the Scene dAmour from Vertigo. The composer' reading is definitive: you feel Scottys pent-up sexual desire boiling over and the music fairly bristles with forebodings of imminent disillusion and tragedy. From North by Northwest, Herrmann conducts the MGM Studio Orchestra in the opening Fandango, but as it is used to underscore the scene where Cary Grant, forcibly intoxicated, careers out-of-control, driving down a country road. Also included are brilliant refurbishments of the old Decca Phase 4 (London) recordings Herrmann made, with the London orchestras, of Psycho (A narrative for Orchestra) and his deliciously wickedly funny A Portrait of Hitch (from The Trouble With Harry). 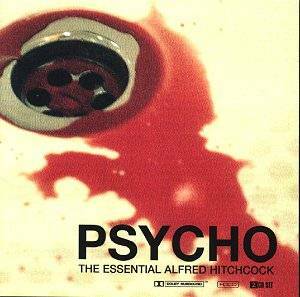 Psycho comes up especially well with all those shrieking murder-scenes chords very well defined. Previously unreleased is Herrmanns Prelude from Marnie with the composer conducting the Universal Studio Orchestra. This prelude includes some poignant material that poignantly suggests the vulnerability of the beautiful Marnie. From Bernard Herrmanns more popular music-based score appropriate to The Wrong Man, in which musician Henry Fonda is wrongly accused of murder, we hear Elmer Bernstein conducting the Royal Philharmonic Orchestra in the films Prelude. But the most interesting of all the Herrmann tracks must surely be another previously unreleased set of three excerpts from his rejected music for Torn Curtain. These are: Prelude, The Ship and The Radiogram. In Herrmanns hands his 16 horns and 12 flutes vividly evoke the harsh, steely, unrelentingly repressive Soviet-block regime. The Prelude is certainly far more arresting than John Addisons relatively colourless, jazz-based, commercial score for which Hitchcock settled. Addisons Main Title for Torn Curtain is placed, for obvious comparison, immediately before the Herrmann material in this collection! 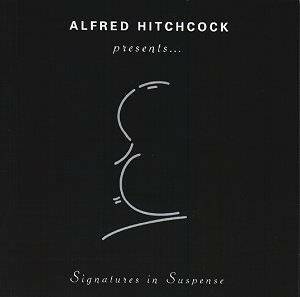 Henry Mancini also felt Hitchcocks ire. He was released from scoring Frenzy. Stalwart Ron Goodwin (often underrated) stepped in and wrote a fine score that included the stately London Theme that played under Frenzys opening titles. It is played by the City of Prague Philharmonic; so, too, is the Maurice Jarres jarring (forgive the pun) and very untypical Hitchcockian March from Topaz. These two tracks have been borrowed from Silva Screen collections. 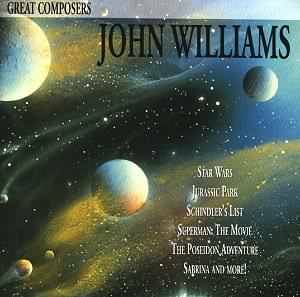 Finally we have music from John Williams who scored Alfred Hitchcocks last film, the black comedy, Family Plot. The End Titles echoes the bizarre elements of this movie including Barbara Harriss kooky psychic and the baroque influence of Cathleen Nesbitts millionairess as characterised by the harpsichord. It seems a pity that, after all that praise, I need to carp but the design of the booklet makes the sequencing of the (non-numbered and non-timed) tracks ambiguous. That is to say if you follow the programme through by the sequence of the track by track analyses. Unless you know the music, you need to check with the order of programme, printed on the rear of the sleeve to ensure you know which selection you are hearing. A Silly and irritating oversight; otherwise an outstanding release. This is a new compilation of all previously released selections. Although regular Silva customers will know this to be so, we feel the company should make this point clear on their packaging. The release has clearly been assembled to celebrate the centenary of Hitchs birth and in that respect it performs a valuable service because CD1 has some unusual and interesting material paralleling the HIP-O CD reviewed above. Silva have now deleted the original albums on which they were included. Silva also assure me that every track has been re-mastered in Dolby sound and HDCD. Quite a few selections have been re-edited even to the extent, in one case, of adding a fragment of orchestral texture. CD1 commences with Gounods Funeral March of a Marionette (not the as is printed on the CD). Here, the City of Prague Philharmonic play it in full. There are four selections from Hitchs British films. First there is Jack Beavers score for The Thirty-Nine Steps which is exciting and menacing enough with some romantic and vaudeville elements. Philip Lane develops Charles Williams and Louis Levys brief and fragmentary music for The Lady Vanishes so that it emerges here as a miniature piano concerto very much in the popular style of the day. Lane also reconstructs and orchestrates Louis Levys Stage Fright Rhapsody compiled from the music he scored for the film. Finally there is Richard Addinsells sentimental Celtic-flavoured music for Under Capricorn. But all these scores pale in contrast to the more dynamic music from the Hollywood composers. The most intriguing is the little known music of Hugo Friedhofer for Lifeboat (again a Lane reconstruction). This is a very powerful evocation of the sinking freighter at the beginning of the film with the swirling waters vividly caught; so, too, is the plight of the few survivors crammed together in the lifeboat. It has to be said that Silva face formidable competition in many of these tracks especially the Herrmann selections. Remaining with CD1, Gerhardt delivers a more polished version of Waxmans Rebecca; Waxmans Suspicion fares somewhat better as does the David Buttolph arrangement of Poulencs music for Rope. However, I much prefer the George Korngold-produced 16 minute suite from Strangers on a Train in a cracking, tense performance by Charles Ketchum on a 1985 Varèse Sarabande recording. (This Alfred Hitchcock album is now deleted  if you see a copy anywhere dont hesitate snap it up!) I did like the Batemans reading of the other Tiomkin score - for Dial M for Murder, a dynamic, startling rendition of this dark and highly evocative music. Franz Waxmans jazz-based Lisa for Rear Window makes a pleasant conclusion to CD1. This is an extraordinary visual and audio homage to Hitchcock's Vertigo and, in particular, to Bernard Herrmann's celebrated score. Vertigo, arguably Hitch's masterpiece, has always attracted attention. Acres of text have been written about the film and its deep psychological significance. Beautifully refurbished videos of the film have been released - the latest with a documentary about the film. Varèse Sarabande recordings have included the majority of the cues, including Joel McNeely's excellent 1996 recording with the Royal Scottish National Orchestra (VSD-5600). Now James Conlon's recording, running time 74:35, which is the heart of this project, includes all the music that Herrmann wrote for the film. The book shows Conlon conducting the Paris Opera Orchestra in this performance of Herrmann's score. Close-ups of the conductor's head and hands were filmed by Douglas Gordon's cameras. The selection of the shots from all the different cameras and the editing were all Douglas Gordon's decisions. These close-ups shots, together with deep crimson and black background dissolves, constitute the total content of the 75-minute 35mm film which is the version I saw. There is also the video installation version that exactly parallels the time of the Hitchcock film (122.5 minutes). This version shows Conlon, in frame during the musical cues, while the camera tracks through the concert hall during the unscored sequences of the film to the subliminal accompaniment of its dialogue and background noises. The book comprises stills compiled from the film. It includes, helpfully, a few small stills from Hitchcock's film scattered at strategic points through its pages These film stills are inset within a much larger frame of the conductor's gestures. The book has the actual CD inset so that it becomes an integral part of the front cover design. Inside the pocket, a booklet contains two detailed essays by Raymond Bellour on Gordon's work and an excellent thought-provoking article by Royal S. Brown on Bernard Herrmann's score. The music matches the story; it is ambivalent - full of unresolved resolutions. Aural and visual images seem to combine to form a sort of dream verging on a nightmare; in fact, Scotty's nightmare is a crucial part of the film. How many of us, I wonder, can identify with such dreams? How many of us are fascinated enough to want to see Vertigo again and again so that we might discover some clue that might help us resolve its many mysteries in order, perhaps, to resolve our own unresolved resolutions? We can wonder and wonder, but we will never know what drew and held Judy Barton to Gavin Essler or what happened to Scotty after Judy's fall, or the answers to dozens of Vertigo's arcane enigmas. I offer all these thoughts because I believe they have a bearing on the film and book. But first, I am going to admit I know little of modern art and this film comes under that heading [The Pompidou Centre, Paris's museum of modern art figures strongly in the film's credits.] I therefore refuse to swim in shark infested waters to hazard an uninformed opinion of the film as art per se. I will therefore confine myself to making remarks about how well the film conveys the atmosphere, the intensity, the passions and the emotions of the film. After all, it is supposed to be the conductor's job to draw out all of these from his orchestra. I think this film partially succeeds on this level. Certainly, such sequences from the Hitchcock film, as the opening scene where Scotty looses his grip on the hand of the detective who falls to his death is powerfully conveyed. Conlon's quivering, folded fingers appear to be grasping on with a desperate intensity before they indicate Scotty's loosening grip. In many sequences, fluttering hands in close up, looking like frightened birds, give the impression of the sensation of falling and of a great unfathomable loss. But, of course, the conductor indicates emotions with his whole body and this is where I think the close-up technique falls down in its persistency. We only get a fraction of the communicative process. It might be the most important fraction (?) nevertheless, it is a fraction. Now Mr Conlon's reading is very good indeed as I observe below but he is young. I wonder if more might have been communicated had Mr Gordon chosen an older conductor who had lived in a more emotionally ravaged body? But, then, we might not have had such a wonderful performance! The first thing one notices is that the score is played through as one complete long cue (Douglas Gordon's decision). There are no separately screenplay-indicated cue divisions. For most people who know the film and Herrmann's score well, this will prove to be no problem for they will recognise the 'mile-posts' as they pass by. The breaks are brief and the music is remarkably seamless and works well as a complete composition in its own right. Conlon impresses immediately with great attack and lucidity in the opening credits music and rooftops chase music. He is thoroughly involved in the music all the way through and delivers a passionate, intense reading that is very satisfying. The tower climaxes are shattering in their dynamic intensity. In contrast his hushed pianissimos are delicate and sensitive to the nuances of the screenplay. I was very impressed with his take on those muted brass chords that sound so remote, so detached - a dream within a dream. His 'Scene d'amour' is approached well and its climax terraced most convincingly. This is definitely one of the best if not the definitive reading of Herrmann's score now available on disc. 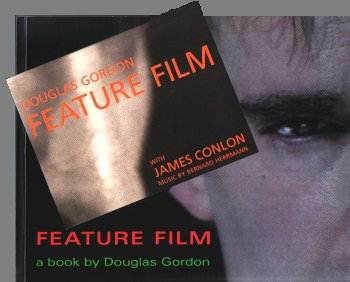 Feature Film a book by Douglas Gordon (also includes the CD) is available from Artangel 36 St John's Lane, London EC1M 4BJ price £24:95 plus £6 postage and handling. Artangel e-mail: artangel@easynet.co.uk. In the U.S.A., the book is available, price $45 through D.A.P., 155 Sixth Avenue, New York, N.Y. 10013 (phone:  627-1999; fax: 627 9484). For any information on screenings of the 35mm version or showing of the video installation, contact Artangel. 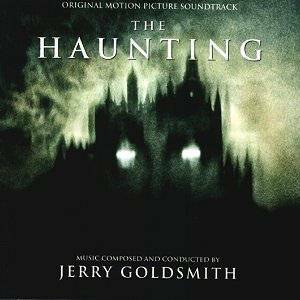 How appropriate that this score should follow the Hitchcock albums above for Jerry Goldsmith quotes appropriately from Bernard Herrmanns Vertigo score, for this new horror film. The swirling figures you hear right at the beginning of Herrmanns score to suggest giddiness and morbid fear of heights is appropriated by Goldsmith to underscore The Carousel and Return to the Carousel cues on this new album. In the latter they are further heightened to give the impression of a grotesque demonic ride. This is a powerful Gothic score that, no doubt, emphasises the shock/fright quota of the film. (The stills from the film showing the shadowy house with its dark halls full of menacing statues; and the girl trapped in her bed in a thicket of vine-like lances indicates what to expect!). Goldsmith as usual impresses with much more than the tired ghost-film-music clichés. There are sour, echoing, remote off-key figures, slitherings, sudden thumpings and shudderings, and bird-like chirpings from a huge array of acoustical instruments suggesting a plethora of hidden menaces about to pounce. One particular effect sounds like a series of submarine sonar pings. This might work in the film but it sounds vaguely hilarious on the CD. I would mention the Picture Album cue which opens with a tense, foreboding with small bells and xylophone/glockenspiel over low bass dronings. Goldsmith then cleverly uses dynamics and the whole sound stage to manipulate the audience, heightening their apprehension as threats appear to emanate from all different directions separately or in varying configurations. For relief there is the quieter more reflective A Place for Everything. This is hesitant music of some charm but its tranquillity is soon broken by cold, strange ominous figures and those sonar pings. There seems to be a potentially wonderful theme in this score that is never able to free itself from the surrounding darkness to reveal its glory. After a tremendously chilling climax that is manifested in Finally Home there is the valedictory cue Home Safe. Beginning as a hollow-sounding, desolate cry of immeasurable and inconsolable loss, the music slowly transforms and warms so that we hear the carousel associated with laughter and childhood innocence. There is also another reference to the Vertigo score  this time the Scene dAmour. The music ends with a heavy sigh. Slammed by the critics, loved by audiences, this weird western, with its jaw-dropping special effects, including neck-seeking razor-frisbees and 80-ft high steam-powered mechanical spiders, must have been quite a challenge to Elmer Bernstein. He has risen to it by creating a rip-roaring and amusing score that embraces practically every musical genre that you can think of. The first track immediately sets out the conflict between the traditional old west and the new mechanical age. 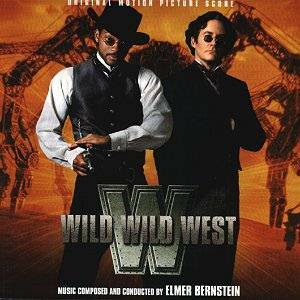 Bernstein uses uses the theremin (sounding like a demented musical saw) against whirling percussion and swift monotonous piano chords to evoke remorseless, relentless, impersonal machinery, then he counterpoints one of his bracing high-spirited Western themes reminiscent of The Magnificent Seven. The mechanical evocations thread their way through the score with Bernstein using great imagination and resourcefulness in harmony and orchestration. The score is often very colourfully witty especially in East meets West and Of Rita, Rescue and Revenge in which there are some quite off-colour glissandos and other peculiar effects. Sometimes he will use weird jazz-inflected music again with the theremin giving it an inhuman sheen. The most interesting cue is the kaleidoscopic Lovelesss Plan Beginning with a guitar solo over rambling woodwinds that quietly contemplate a western theme in Coplandesque style, the music passes through a bewildering series of transformations. First, we hear solemn organ chords that introduce a noble Elgarian theme (with chorus joining in in Handelian mode). Then castanets interrupt a rendition of God Save the Queen, to introduce a few bars of Baroque music which then becomes an electronic "escaping-steam" caper with guitar. Suspense, creepy figures follow with the most extraordinary music of all a sort of demented mechanical belly dance presumably for the mechanical spider as it lumbers over the desert? An extraordinarily colourful, exciting and witty score for an OTT movie. When classical music Deutsche Grammophon allow their label on the front of an album of film music it has to be something! It is! Carlos Savras film is currently enjoying great success around the art houses in the UK (the main distributors do not know what they have passed up!) It is about a gifted film director abandoned by his wife. To forget her, he throws himself into work on a film about tango and in doing so falls in love and has a torrid affair with a beautiful dancer who is the mistress of the films main financial backer. He is not oblivious to what is going on and takes a contact out on the hapless film director. Images of the directors life and memories shown against an oppressive military repression and the great wave of European immigrants at the turn of the century all converge in the screenplay. Argentinian composer, Lalo Schifrin, composer of such major scores as Bullitt, Mission Impossible and Dirty Harry, was the natural choice to score the film for he had been Astor Piazzollas pianist in the world famous tango composers early years. Schifrin is remarkably versatile, equally at home in jazz and classical music  and tango is close to his heart. 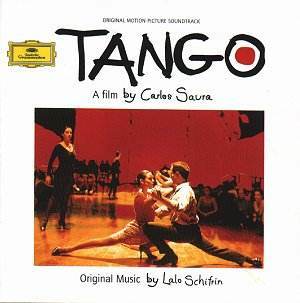 The tango has of course featured in many movies. Its appeal has remained undiminished since the beginning of the century from brothels to sophisticated parties and ballrooms, and from Buenos Aires to Hollywood via Paris (some of the numbers have that unmistakable Paris left-bank jazz style). The producers considered tangos, milongas and creole waltzes and chose what they considered indispensable for the film. The score comprises tangos in many moods: proud and haughty, sensual and voluptuous, strongly rhythmical and energetic; jazz-inflected; quiet and sentimental, romantic, nostalgic, and cheeky and humorous. In one memorable number Corazón, that has some engagingly shifting rhythms, the tango invades the waltz. Schifrin himself composed seven numbers to heighten the atmosphere and story line of the film. His Tango bárbaro is edgy, nervous and dangerous; the shadows also trail his melodic and romantic Tango del atardecer while Tango lunaire recalls the 1920s in the manner of Kurt Weill. One of the most impressive tracks is in marked contrast to all the rest. La represión is a powerful orchestral composition played here by the Buenos Aires Symphony. It speaks of merciless military might with bass and snare drums crushing resistance. Womens voices, in Greek tragedy mode, bewail the chaos and brutality. A final solitary bell tolls over the devastation. This is an exquisite, string-dominated, varied score full of Italian warmth and nostalgia. The opening track sets the mood with a surging melody that passionately sings of caring and compassion (in Mussolinis Fascist-dominated Italy). Soon the piano enters to add a theme very reminiscent of the popular style of previous successful Italian films like Cinema Paradiso and Il Postino. 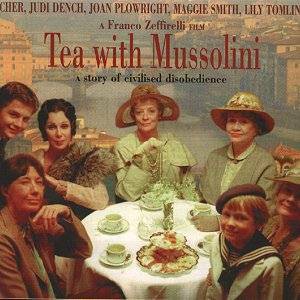 This is a film about civilised disobedience and stars Cher, Judi Dench, Joan Plowright, Maggie Smith and Lily Tomlin a formidable barrage of feminine acting talent. Therefore, the screenplay is seen through their eyes and the harsher aspects, the military threat, is consequently more muted than would be the case if this were an action film. The composers use just cold staccato timpani beats and strings to achieve a necessary atmosphere of threat  and very successfully too (composers who go over the top in their efforts to achieve similar results might take note). In addition to music of intrigue and suspense, which is minimal, the score includes many forms. Associated with tea rooms we have elegant Viennese waltzes, romantic tangos, and upbeat jazz and blues. We even have folk-song in the shape of No John (No John, No) There is Italian-style pastoral music. Although the album occasionally has its longeurs, they are outnumbered by many entrancing tracks. I will mention just three. (But first, I must report that the majority of tracks are given titles in Italian. Although the album lists 22 tracks, when you come to play the CD you will notice there are in fact 23 - all very confusing.) What I think is Camicie nere agli Uffizi begins with beautiful piano ripples and arpeggios as the music meanders serenely before it modulates to allow the main theme to be stated very pensively. This introspection is, in turn brushed aside by the inhumanity of the military style material. Tea Trolley begins dolefully with some interesting string writing, violins and cellos in disconsolate opposition before a bluesy jazz influence manifests itself. The music is still dragging its feet until a clarinet lets light into the texture and the music takes flight. Then there is the breezy spree of the Autobus ride with muted trumpet standing in for the motor horn. This is one of the very few cues allowing coloration from the brass. It also includes saxophone, clearly this is a jolly ride. Durango is about a cattle drive, no not in the Wild West but across Ireland in the 1940s. Mark McKenzies charming ebullient score blends heroic and romantic surging western styles (very reminiscent of James Horners main theme for Legends of the Fall) with traditional Irish music. McKenzies score is mostly string-based giving it a warm pastoral and nostalgic glow. He also uses traditional Irish instruments: bodhran drums, uilleann pipes, penny whistle, recorders and pan pipes. There are some nice touches - the unspoilt Irish countryside of the old jaunting car is evoked in the rhythms of the Main Title, and in Elope the harp gently whispers the love theme that will surge out as Mark and Annies Love Theme. Haunted Hill blends nobility with some eerie string tones and harp chords to suggest some fairy magic. Many tracks include Irish folk material, jigs etc. An aside. So many of films we see about Ireland tend to show the Ireland that is no more, they give an impression of neglect, poverty and general backwardness. Nothing could be further from the truth of the Ireland of today. The Republic is booming; it is the fastest growing economy in Europe. Galway is the fastest growing city in Europe with investment pouring into new technology, medicine and education  more than 50% of the Citys population is aged below 30. In Dublin the demand for housing is so great that, recently, an eight-house development was completely sold within 8 hours of it appearing on the market  the houses sold for £1 million each! They had just 4 bedrooms! This film is the latest quality costume drama with Cate Blanchett as the lead name. The music is a well recorded and well performed confection of hotel salon music. Think of Barbers Souvenirs - a devastating apotheosis of this sort of music. Straussian (Richard Rodgers and Sondheim/Gemigniani may also be recalled) waltzes mingle with mini helpings of soundtrack dialogue. The music is for full orchestra (extremely beautifully recorded) or for mini-ensemble. The non-threatening nostalgia of the comfortably affluent wanders abstractedly through a score which is never less than pleasant but which sometimes skates dangerously near monotony. In the same way that person specifications are written for appointing people to jobs this score sounds as if it might have been written to a directors specification. There is no danger in this score and it may well make excellent background music for a dinner party - especially if you programme out the speech tracks. Undemanding gentle contours. Not a peak in the film music world but a highly competent (and I would expect, apposite) score. Notes: personnel listed. Orchestra not identified. Decent though brief comments about the score. More photos than information - nothing changes. Not a compelling purchase as music. This is definitely a film souvenir CD. I would still watch out for Charlie Mole and his orchestrators in the future. Devotion was a Warner Brothers film which had its wicked heedless way with the story of the Brontë sisters. In the film the sisters were played by Nancy Coleman, Olivia de Havilland and the delightful Ida Lupino. Other familiar names included Paul Henreid (given short shrift by sleeve-note writer Brendan Carroll) and Dame May Whitty. 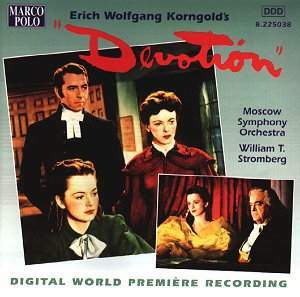 Korngolds passionately romantic score for Devotion has been known largely through the film soundtrack itself which, to the best of my knowledge, has not been issued on CD. (Charles Gerhardt included the cue Death of Emily Brontë in his Sea Hawk album  The Classic Film Scores of Erich Wolfgang Korngold; RCA GD87890) Here is the lions share of the score omitting only the music by Lanner and the Strausses (all conducted on the soundtrack by Korngold). The score has its playfully naïve episodes (e.g. Packing Montage) and the occasional chintzy moment. There is also no disguising that over almost seventy minutes of music it has a few longueurs.. Otherwise the score has an invigorating saturated romanticism (Farewell at end of track 4). Korngold was clearly influenced by Stravinsky Firebird and de Fallas Nights in the Gardens of Spain. The moors play an important role in any story of the Brontës and here the Gothick sea-green waves of his music for The Sea Wolf seem to be not all that far away. Explosively gale-plied music depicts Branwell and the Horses while Brussels reaches out to the listener in an evocation of a new minted morning: starched collars, dazzling sunlight and crinoline. Charlottes Romance is rather ruminatively Baxian. The music is on its toes in The Boat and high romance and tense mystery stalk The Graves in a style similar to the music from the Private Lives of Elizabeth and Essex. The orchestrators as opposed to his usual single collaborator (the angelic musician Hugo Friedhofer) were a team of six including his friend Ernest Toch (who wrote the music for the film The Cat and the Canary). The history of the whole project was not a happy one and the film was panned. Brendan Carroll is pretty dismissive still, although the music rises above the other components of the film. Authoritative extensive notes (English only) by Korngold authority Brendan G Carroll. John W Morgans tribute to the film music luminary the late Tony Thomas (1922-97) graces 2pp of the 32 pp booklet. The notes which come with so many film music CDs (at least those of Marco Polo) must be counted as legitimate and significant entries in the film music bibliography. This is a luxury article in every aspect with the orchestra (much criticised over its part in the Malipiero symphony project) shining through with the exception of what sounds like rough and ready strings in (Branwells Death). The orchestras standards are overall a credit to them and to William Stromberg. The end result suggests many hours of preparation. A headline production. The title, Devotion, and the leading players Olivia de Havilland (Charlotte), Ida Lupino (Emily) and Nancy Coleman (Anne) Brontë signal that this is what we used to call a womans picture. Not surprisingly, therefore, Korngold responds sensitively with a "feminine" score that sighs and yearns and has many fluffy and decorative touches. These manifest themselves profusely in such cues as The Girls and Brussels. The girls sense of family devotion is heightened in passionately Romantic climaxes in cues like Farewell and, of course, in the glorious Devotion theme itself which is worth the price of this CD alone. Even the wit of Branwells drunkenness is restrained. It is as though it reflects sisterly tolerance and concern rather than masculine vulgarity. Emilys nightmares and premonitions of death hold a more womanly terror too. The cue London Montage contains the most assertive music in the score for the whirling presses as Charlottes book, Jane Eyre is printed. This is wonderfully orchestrated by Hugo Friedhofer and the theme that emerges from the mêlée was originally used in Captain Blood, now used as an elegant minuet for Thackery. I was also impressed with the witty evocation of a carriage ride In the Park. Korngold writes music that vividly suggests the bleakness of the moors and the wind searing the sparse trees and grasses. But, with the exception of a few bars, this is not English pastoral music rather it is more Viennese/Hollywood. Devotion was one of Korngolds last assignments for Warner Bros. It is not top- drawer Korngold; one has the impression that much of the inspiration and material is being retreaded. Yet this is a major score and even second-drawer Korngold reaches higher than a lot of top-drawer film music by lesser composers. Again, John Morgan is to be congratulated on a first class job of reconstruction and Bill Stromberg leads the Moscow players in a moving performance of this unashamedly lush Romantic score. I agree with Mr. Barnett and Mr. Lace on many things, but I think they slightly under-credit the power of this score. It is one of Korngold's lesser efforts, that is true. Korngold repeats his message numerous times. not solely from within the soundtrack proper, either, but from previous scores. However, these ideas doubtlessly bear repeating, and are such a fresh experience after reviewing a contemporary piece of film scoring morass ("Stigmata") that anything with Korngold's brand of sentimentality, skill, and beauty is almost shocking in its emotion, and further proves just how noteworthy the score is till its very end. From those terms, I garner a greater certainty about "Devotion's" magnificence. The performances are, as my colleagues said, generally top-notch. As for Stromberg and Morgan, they have not outdone themselves, but neither have they degraded their efforts. This is a finely produced album; it shows the interest, the love of the music, and, I must add, the good-natured humor, from every person involved in its inception. This is an elegant score, and deserves all of the accolades it can get. So, it may take somebody a little 'getting into' to enjoy the score, but one will probably find meeting Erich Wolfgang Korngold halfway is invariably worth the endeavor. 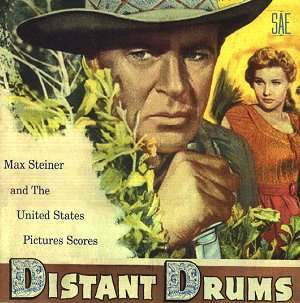 Distant Drums is one of four Steiner scores on this double album dedicated to United States Film Productions - an independent production unit operating on the Warner Bros. lot and having their product distributed by Warners. Max Steiners scores are clearly under the influence of the parent studio for they carry that unmistakable Warner Bros sound. The other major western score is that for South of St Louis (1948) that starred Joel McCrea, Zachary Scott, Alexis Scott, Dorothy Malone, Alan Hale and that oily villain Victor Jory. Again, this was a screenplay full of action with a rather more dubious hero than was the norm in those days. Steiner responds with another robust, rip-roaring score with music that races headlong or lumbers at the pace of the covered wagons. Listening to this music, I was once again impressed how Steiner can respond to lightening changes of scene and mood with equally speedy yet smooth musical gear changes, and how he can suggest so many moods and events simultaneously. The showdown gunfight is masterly, percussive piano doubling timps to strike a stark, dramatic rhythm as well as screwing up the tension. For me, only Tiomkin using similar techniques in his western scores, could equal this type of writing. The score uses a number of source tunes like Dixie and Battle Hymn of the Republic appropriate to its Civil War setting. Other strong points: Steiners use of Latin themes and rhythms for the Matamoras (Mexico) settings and his striking arrangement of the popular La Paloma. Only the overture of Cloak and Dagger (1946) is included. It is a sombre march implying intrigue and espionage before the music moves into a more upbeat mode suggesting victory. My Girl Tisa (1948) was more kindly received by the critics. It starred Lili Palmer, Sam Wanamaker, Alan Hale and Akim Tamiroff. It was about an immigrant girl in New York in the 1890s who falls for an aspiring politician. She is threatened with deportation when her attempts to bring her father into the country from Hungary cause conflict with a dastardly white slaver. With the exception of Distant Drums, all these excerpts commence with the Warner Bros. imposing fanfare composed by Max Steiner. (Max thought it inappropriate for Distant Drums.) I make this point because it is always a marvel how Max manages to modulate this fanfare so well and so smoothly into the Main Titles themes of his scores. For My Girl Tisa, Maxs main theme is one of his loveliest sweepingly romantic creations. Immediately afterwards we hear Maxs take on the type of melody one would hear being whistled in the streets or sung in the music halls of turn-of the-century New York followed by caring, compassionate motifs associated with Tisa. Darker material denotes the evil machinations of Tescu. Steiner cleverly uses harps and zither to create a warm sentimental Hungarian atmosphere (after all he came from Vienna so this was home territory). The packaging for this production is excellent. Despite my little carp above, Ray Faiola notes, including a full track-by-track analysis, are excellent. Ray reminds us that United States Productions also released Pursued, Marjorie Morningstar (both scored by Max Steiner) and The Court Martial of Billy Mitchell (boldly scored by Dimitri Tiomkin). Lets hope that Screen Archives are considering releasing these? Finally, seeing John Morgans name amongst the credits, I wonder if he might also consider a new modern recording - a Max Steiner compilation album to include the best of Distant Drums, together with The Hanging Tree and several other of Steiners western scores such as The Oklahoma Kid, The Lion and the Horse and Silver River? Lost Horizon is a film to bring back memories. For this reviewer this involves rainy Sunday afternoon TV matinees (black and white era of course). Those memories are rekindled by this disc. The films initial release ran to 132 mins but successive copies shrank and shrank down to 95 minutes for the latest TV releases. Fortunately the full article has been reconstructed. This is the first appearance of Tiomkins complete score. As such this is both an historical and an historic recording. Charles Gerhardt included a substantial Lost Horizon suite in his Tiomkin instalment of the RCA Classic Film Music series. I recall rather warming to the technicolor exoticisms of that LP although in terms of the music I always considered that disc by no means a peak amongst the twelve LPs. I have not heard the CD reissue of the Gerhardt but am sure that its BMG/RCA incarnation preserves the impressive close-up wonders of the wide-stage sound-picture from the mid-1970s. This recording is in all ways complementary to the Gerhardt. Gerhardts modern (well 1970s anyway!) in-depth stereo is a joy to hear whereas the sound direct from 1930s 78s, while high in atmospheric magic, is both mono and low-fi. The casual collector will want the Gerhardt. The dedicated Tiomkin hunter will grab this disc and bless those wonderful people at the Brigham Young University Film Music Archive for their necromantic work in breathing life into a fabled score. The Gerhardt is a 23-minute suite whereas BYU offers the full article including sections never used in the film. I wonder if the suite is the same as the suite performed at the Hollywood Bowl on 16 August 1938 and conducted by Tiomkin. The film was directed by Frank Capra and had Ronald Colman as its tragic-debonair lead. The only other big name we might remember now is character actor Edward Everett Horton. The story of Shangri-La is tremendously well handled. 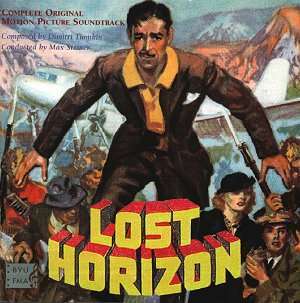 James Hiltons novel Lost Horizon (on which the film is based) had been published in 1933 to modest attention and sales. When Hiltons next novel Goodbye Mr Chips came out it was a runaway success. Lost Horizon was republished in 1935 and was soon selling 6000 copies a week. The story of a remote and exotic land of the ever-young had a powerful pull. There must have been many in the films audiences who recalled the lost youths (either their own or their childrens or lovers or friends) of the Great War only 20 years previously. The spell cast by images of a world of simple pleasures was enthralling. This was accentuated by the fact that this was still a world where Tibet was a genuinely remote place known if at all from the pages of National Geographic. 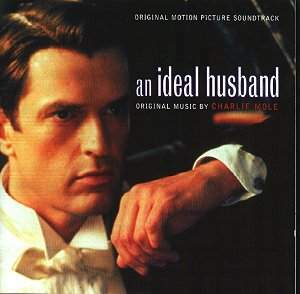 Capras choice for the music fell on the shoulders of Dimitri Tiomkin. This was the first time the two had collaborated. Tiomkin was assisted by a team of nine orchestrators. The team included some names famous from both concert hall and film studio. These included Hugo Friedhofer, Robert Russell Bennett and William Grant Still. There are two distinct Tiomkins in this music. There is the mystic seer and the naively playful innocent. The seer offers (especially in the first five tracks) a pretty apocalyptic brew of exuberant sunrise piled repeatedly on dramatic sunset in music which has escaped from a late (very late) romantic symphony by Scriabin. If you know Scriabins Poem of Ecstasy you will know what to expect. There is also a touch of the French composer Florent Schmitt and Holsts Planets. Mysterious harp washes deck out the arrival of the caravan (7). The Entrance to Shangri-La and Nocturne (8/9) are quite Delian with the choirs ecstatic contribution well put across. The choir (Hall Johnson Chorus) appear relatively infrequently although they are also used in Shooting Sequence (12). The playful Tiomkin who evokes childrens nursery songs and playtime jingles can be heard in Swimming Sequence (11), Valley of the Blue Moon (14), Lovett and Barnard (17) and Sow a Wild Oat (18). Romance is taken to excess in The Cherry Orchard which is appallingly sentimental and gloopy but this is the only track blighted by sentimentality. Of course the violins are called on for the glycerine from time to time and they do this, trouncing all competition, in Conway and Sondra (20). George and Maria (19) reminded me of the weary march music from Deliuss music for Hassan mixed with the silvery beauties of Strausss Rosenkavalier music (Presentation of the Rose). Strausss Alpine Symphony can be heard in Snow Sequence (24). The oriental march of Funeral Procession perhaps leans slightly towards Ketèlbey territory but it is played with taste and the music is a cut above Victorian syrup. The final track (26) Toast to Robert Conway (the Colman character) marries the valedictory (Auld Lang Syne) with elements of Korngold, a fluttering ambience and the sunrise music of Deliuss Appalachia. The CD is exhaustively documented and well designed although I did initially wonder about the cover art until I realised that it was taken from an original cinema release poster. As for everything else the level of detail offered in the (English only) notes is massive. I would have liked more of an introduction to Tiomkin but otherwise no reservations. The booklet runs to 32 pages with 41 photos, actor portraits and stills from the filming plus half a dozen poster repros. Full cast and technical credits are listed with tech notes from the digital editor (Ray Faiola), Jack Smiths track by track plot line, Rudy Behlmers essay on the film and its backgrounds and James V DArcs introduction including the fascinating story of the finding of a well preserved set of 78 discs used for this major event. 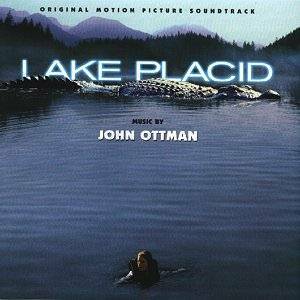 Recommended to the film music fanatics everywhere. The sound is what it is: 1930s vintage, but pretty good given its 60+ years youth. There is no beating its completeness, authenticity and tingling atmosphere. These selections have all appeared on previous Varèse Sarabande albums. Avid collectors will not need to make the investment unless they want them in one convenient package but for those who have none or few of them this compilation is enthusiastically recommended. All the tracks are played with great verve and polish and the sound is superb.